PAN stands for permanent account number and is 10-digit alphanumeric number assigned by the income tax department to the person applied for the same.PAN can be applied online. Furthermore, amendments or corrections to PAN data can also be made online. Both were authorized by the Indian government to issue the PAN or make changes / corrections to the PAN in the name of the income tax department. Online process is the most trouble free way to get PAN. The PAN applicant is obliged to fill and submit the online application form together with the online payment of the respective processing fee. Copies of the required documents can then be sent by mail to NSDL or UTIITSL. The fees for the application for PAN are Rs. 107 (including VAT) for Indian communication address and Rs. 994 (including VAT) for foreign communication addresses. Payment of the registration fee can be made via credit / debit card, demand draft or net banking. If payment is successful, an acknowledgment is displayed. Save this receipt number. As soon as the application and the payment is accepted, the applicant is obliged to send the documents by courier / mail to NSDL. The PAN application is processed by NSDL only after receipt of the documents. The documents include proof of identity, proof of the address and proof of birth date. For a complete list of documents, click on the COMPLETE LIST OF DOCUMENTS. If you want to make changes to the existing PAN, such as changing the name, date of birth, etc., you can apply online. The procedure is almost the same as you apply to new PAN, except in the case of corrections in PAN, you also need to submit the documents required to support the change in PAN. Step 1: Complete the online application form for changes / corrections in PAN on the NSDL website. Step 2: The fees for changes in PAN are also Rs. 107 (including VAT) for Indian communication address and Rs. 994 (including VAT) for foreign communication addresses. Payment of the registration fee can be made via credit / debit card, demand draft or net banking. If payment is successful, an acknowledgment is displayed. Save and print this confirmation number. For married ladies - name change due to marriage - marriage certificate, marriage invitation card, publication of "change of name" in the official stamp, certificate of a gazetted officer with name change, copy of the passport with the name of the husband. For individual applicants except for married ladies - publication of "change of name" in the Official Gazette, a certificate of a Gazetted Officer stating the name change. For companies - ROC certificate for name change. For other categories that are registered organizations (AOP / Trust / BOI / AJP, etc.) - the revised registration / certificate / agreement. 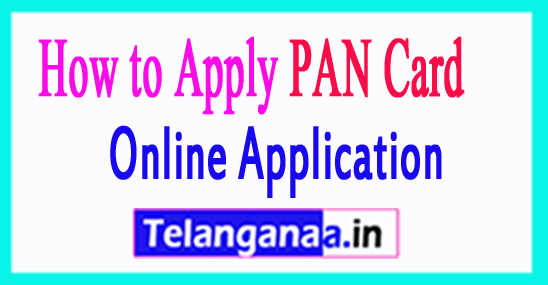 New Pan Card Online Apply --UTIITSL website.